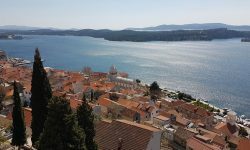 On the map below we have marked all the larger supermarkets in Rovinj. In these supermarkets you can buy all regular daily goods. In most of them you also find a wide selection of non food articles. Which supermarket do I recommend? Well, that depends on what you are shopping, my family and I normally do or daily goods shopping by LIDL. 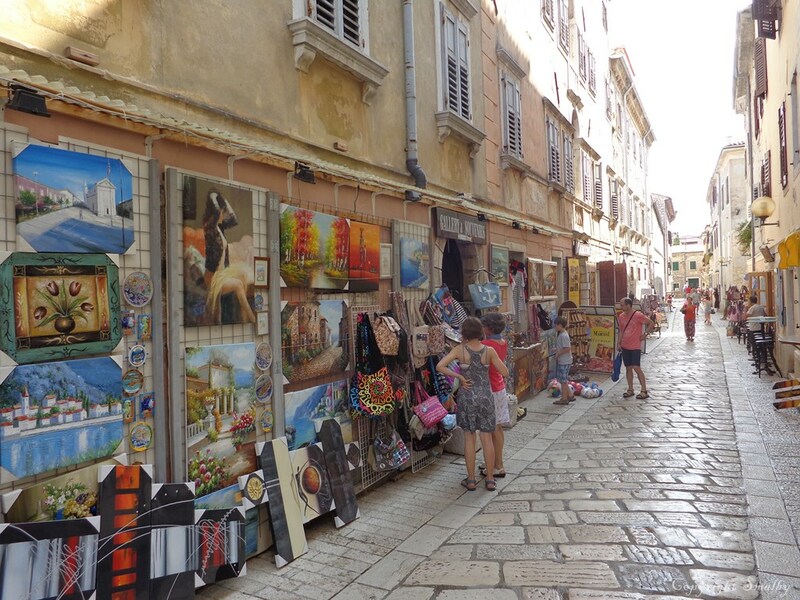 The closest you would get to a real shopping street in Rovinj, is properly the Carera Ulica (see map below), here you mainly find shoe shops, shops selling souvenirs, clothes and other items. 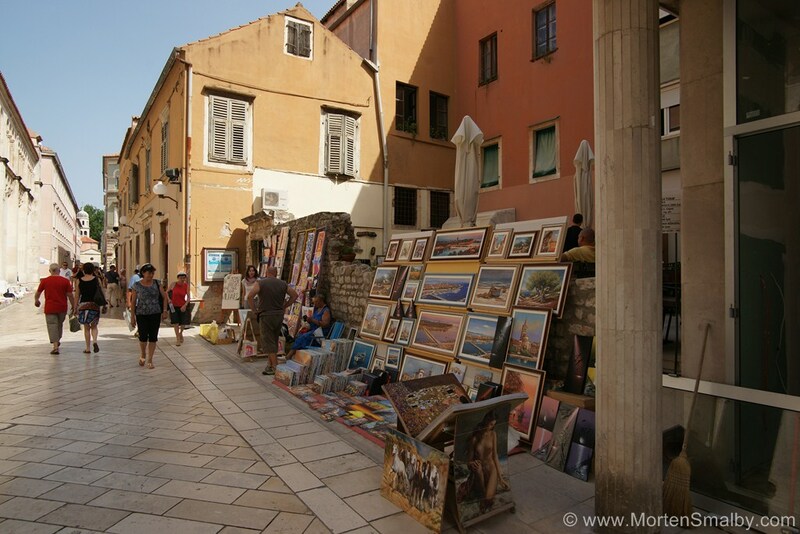 In the old town part of Rovinj you mainly find souvenir shops and galleries, and on the seaside promenade you can find a few jewellery stores between all the restaurants. 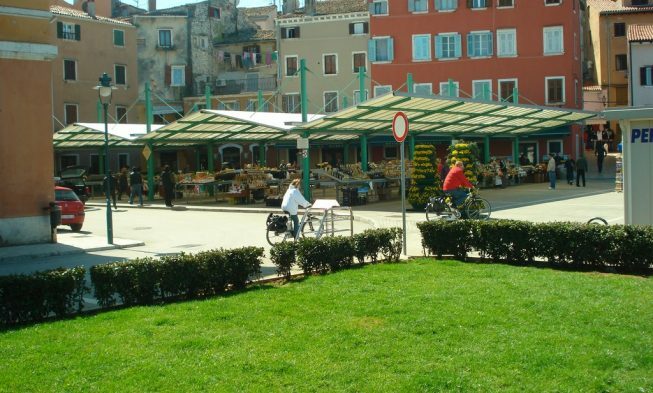 At the green market in Rovinj you can buy fresh fruits and vegetables, some are local produced which means the offer will vary depending on the time of the year. 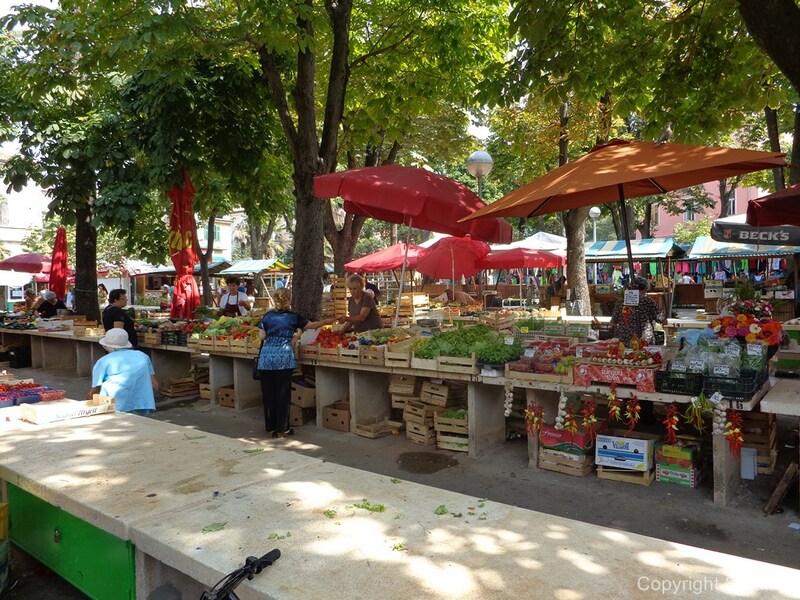 Also in the area of the green market you have several stalls selling souvenirs, herbs, liquor and other locally produced goods.